The Obon Festival in August! The Obon Festival is a Japanese custom to worship one's ancestors. It is held for four days beginning on August 13 in general. In some areas of the Kanto region, it is held on July 13. The fisrt Bon Festival was held by Empress Suiko in 606. There are regional differences because of mixing local custom. 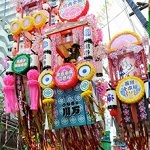 It is said that the souls of ancestors go back thier home in the Bon Festival. Descendants burn the welcome fire called Mukaebi to help ancestors not to lose thier way on August 13. Denscendants pray and offer a food on the altar after Mukaebi. Four days later, descendants burn the ceremonial fire called Okuribi. Descentants in some region do Sprit boat Procession called Shoronagashi in Japan instead of Okuribi. They see ancestors off by floating boats down a river. People cannot do above that visit a grave only. On the other hand, the Obon is often used as just a summer vacation because many Japanese are off from work on Obon season, whether visit a grave or not. 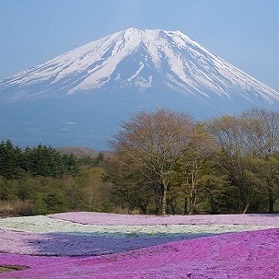 August 11 became a national holiday as Mountain day in 2016, so the term of holidays is more longer. Therefore, some Japanese not only go back their hometown but also travel abroad or enjoy marine activities without visiting a grave nowadays.Traffic caused by people going back to thier hometowns occur in this season. Though many people have a vacation, many restaurants and retail stores open because of busy season. In addition, the Obon Festival is famous for Bon Odori(Obon dance). People gather and dance in a temple or shrine or park or street. Awa-Odori in Tokushima and Yosakoi in Kochi are eslecially famous for Bon Odori. 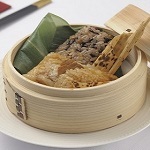 By the way, there is a custom to eat Ohagi(Botamochi) which is rice ball with red beans in Obon season. People think red color can purge evil spirits in the past, so they eat it. However, they eat various Ohagi, with Kinako (roasted soybean flour), with dried green lavers, with sesame now. It sells for about 200yen(2 dollars) in Japanese confectioners or grocery stores. If you travel Japan in August, it might to be a good idea to enjoy Obon festival and Ohagi. You can experience Japanese culture through them.